The chicken coop is tucked into the side garden where I can keep an eye on the chickens from my kitchen window. Chicken keeping is addicting. Buy a bigger coop from the get go to accommodate a few more chickens. In my opinion, the optimal flock size for a family of four is six hens. This should give you approximately 2 dozen eggs per week. Chickens lay the most eggs during their first two years of life. After that the amount of egg laying tapers off. 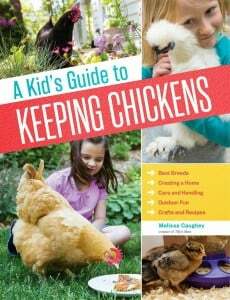 Chickens will naturally live approximately five to seven years. These things should be considered. Don’t forget, roosters are not necessary for eggs. 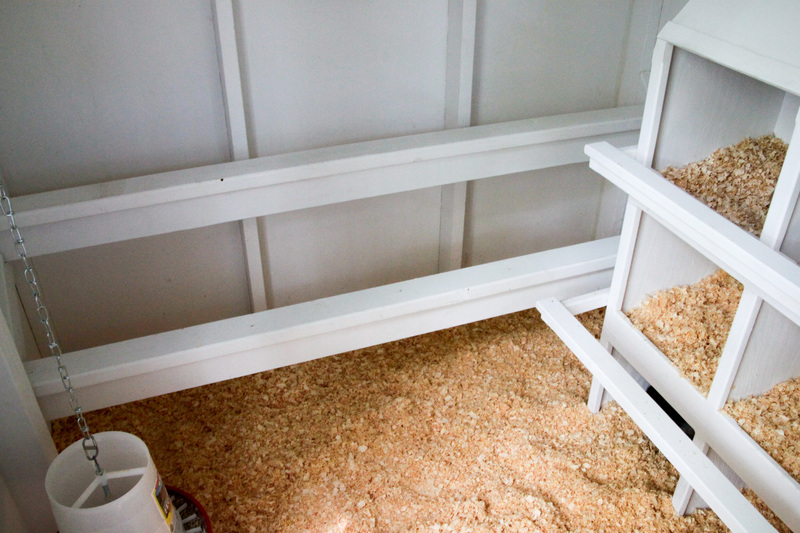 A new layer of pine shavings is added to the chicken coop each month. Olive and Cuddles inspect my handy work. When it comes to spacing. 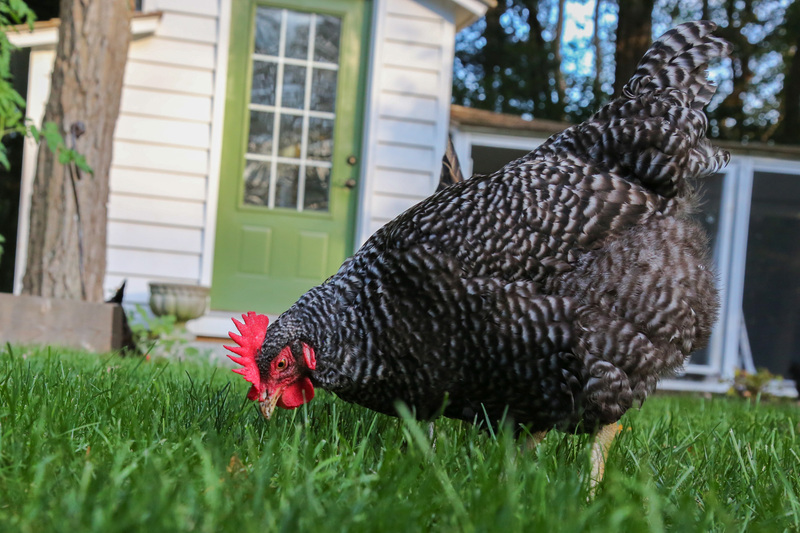 Chickens need approximately 10 square feet of space per bird. 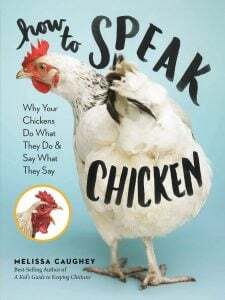 In colder climates where temperatures freeze, each chicken should have at least 4 square feet of space in the chicken coop. If your flock is free-ranging they can have less space in the chicken run. 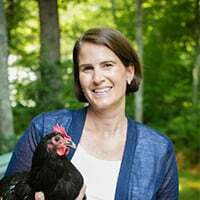 However, consider the times when the chickens can’t free range- when you are on vacation, when predators are in the area, and detrimental weather to name a few. 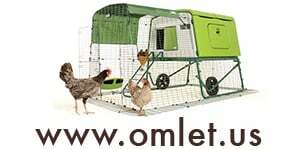 Also, consider keeping chickens breeds that handle confinement well. Yes, they do exist- try Australorps, Orpingtons, Silkies, Barred Rocks, and Leghorns. Consider quality of construction. Do not be enticed to skimp on quality. Sometimes the pre-fab coops ordered online will only last a couple of years due to poor quality. One coop I ordered had a thin plastic window, cheap hardware that rusted, and screws not big enough to prevent predators from ripping locks off. I had to “doctor” this coop up and it worked out fine, but eventually, I resorted to putting it in my larger chicken run and using it as a brooder or a hospital pen for ailing chickens. Find out what your chicken coop is made. 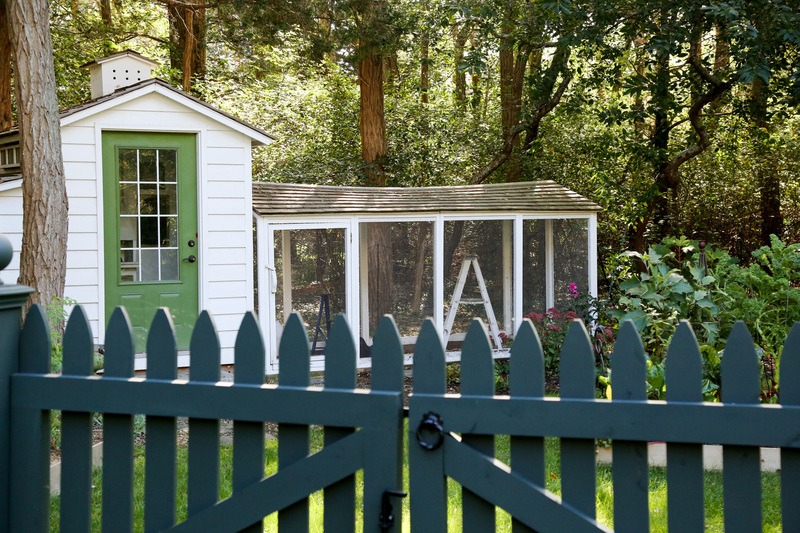 If possible, visit the chicken coop in person prior to purchase. Photos can be deceiving in regards to size, quality and construction materials. 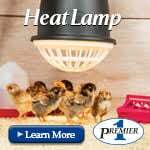 Think about hiring a handy man to build you a chicken coop that you design or from the free-plans available on many popular chicken keeping forums. The flock might have a favorite nesting box where the prefer to lay their eggs, despite other options. 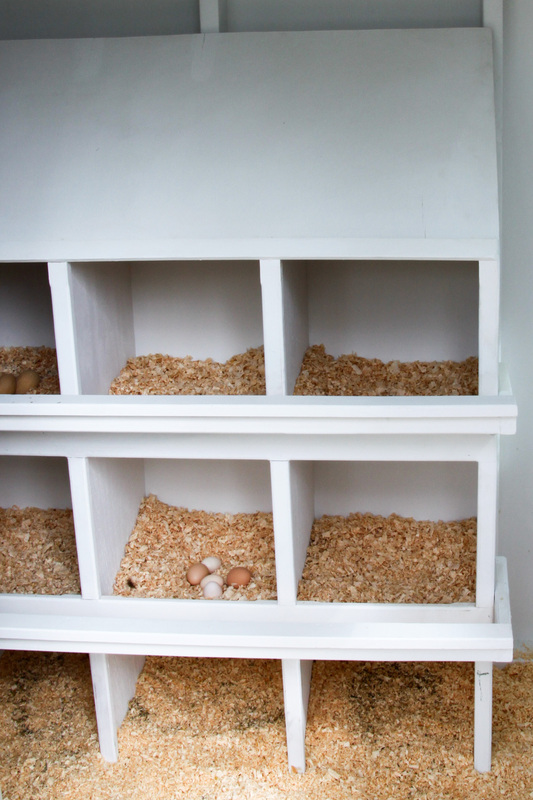 Nesting boxes are where the chickens will lay their eggs. They are 12″ x 12″ wooden boxes. The hens have a favorite box and sometimes you will find all the eggs in the same nesting box. Sometimes people put curtains on the boxes to create a dark safe place for chickens to lay their eggs. Removable roosts are tucked into the bump out, making morning clean up a breeze, as most of the poop is contained to under the roosts. In the evenings chickens will sleep on roosts. Roosts should be wooden and not metal. The roosts should be at least 2 inches wide with rounded edges. Consider making the roosts removable. I love this design feature because it makes for easier cleaning and maintenance. Keep a separate chicken feeder inside the coop. This is practical for those chickens at the bottom of the pecking order to gain access to feed. 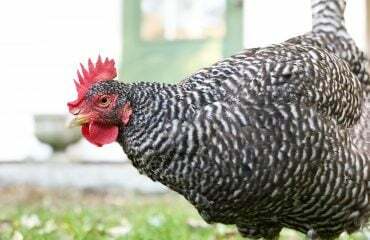 It is also helpful when the outside feeder runs out or to fill those chicken bellies early in the morning before you are able to go out and unlock the chicken coop for the flock for the day. Some chickens will eat the straw and it will end up stuck in their crops, sometimes requiring surgery to save your chicken’s life. It has hollow tubes that make the perfect hiding spots for chicken pests such as mites. Hay and straw do not control moisture well and is prone to molding. Straw takes avery long time to break down in the compost pile. Try using kiln dried pine shavings instead. In the coop, they are great at absorbing moisture. The compost quickly as well to cut down on the coop to garden time period. 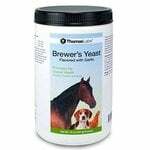 They are inexpensive and are cleaned as you would a litter box. Simply scoop the droppings from the pine shavings and replenish as necessary. 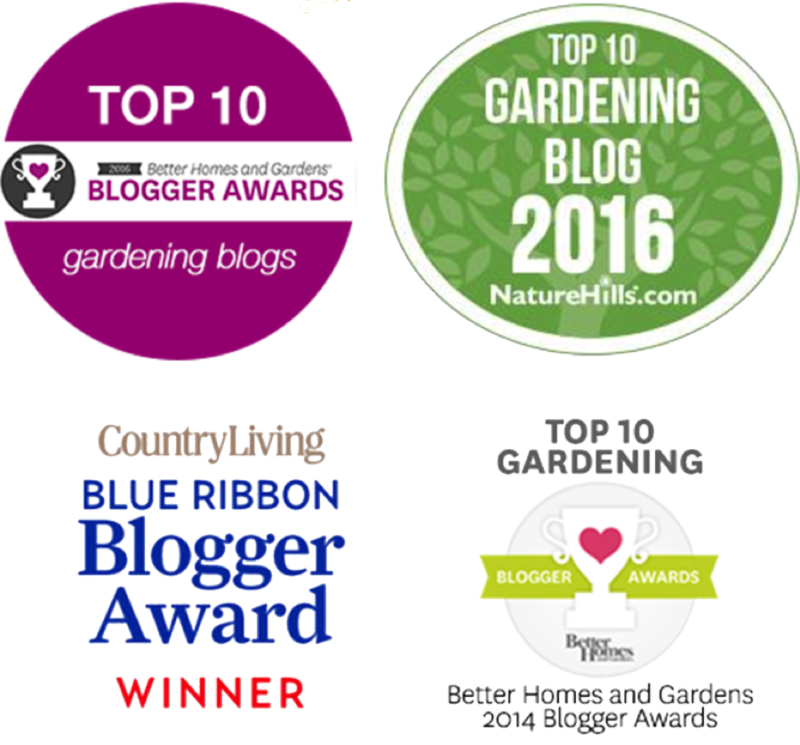 I use a rotational litter method in my coop and garden and it works very well. Olive enjoys a bit of free-ranging outside of the chicken coop in the late afternoon. Chicken brains need 14 hours of daylight to lay eggs. Sunlight is a natural disinfectant. It is a free source of warmth in the winter. 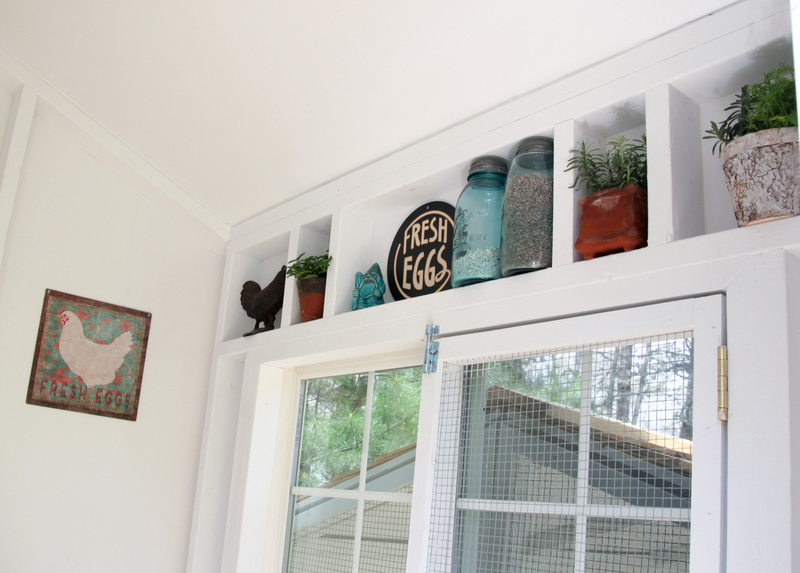 Try adding a window in the coop. Be sure to cover the screen with 1/2 inch hardware cloth for protection from predators. The more light the better in my mind. 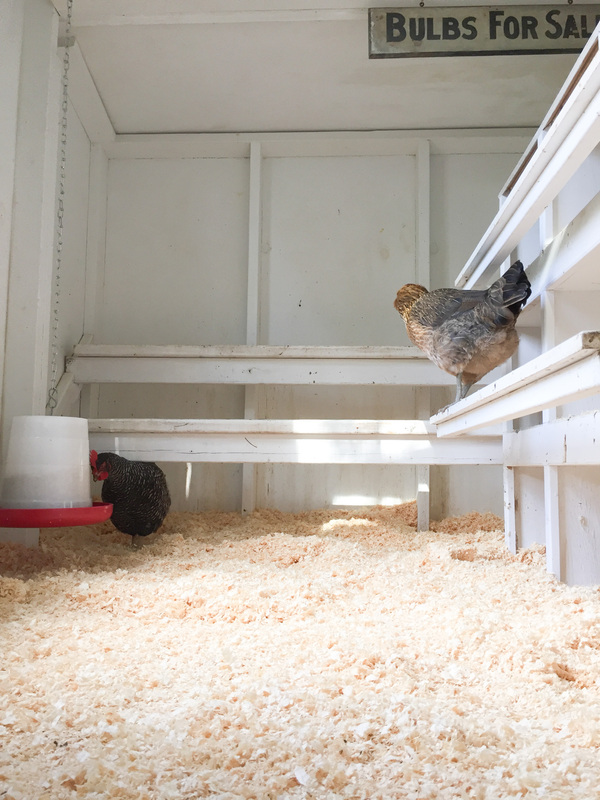 A window allows chickens to look out and provides boredom relief when they are confined to the coop for bad weather. The window has a hardware cloth screen complete with predator proof locks. The entire coop should be predator proof including the run. All the locks should be two steps and unable to be opened by a 2 year old child. Determine what predators live in your area and protect your chickens from digging, tunneling, burrowing, predators as well as aerial predators such a birds of prey. Chicken predators are a danger both during the day and night. Add a roof to the chicken run to provide shade, protect from weather and keep your flock safe from birds of prey and climbing predators such as raccoons. Chose quality lumber and hardware that can withstand natural phenomenon in your area- snow, blizzards, hurricanes, tornadoes, earthquakes, floods. Do regular inspections to check for construction breaches and areas that need repair regularly. 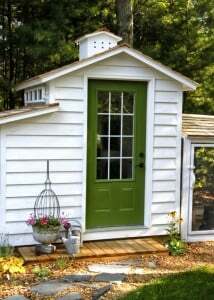 The chicken coop should be easy for you to access for cleaning and maintenance. 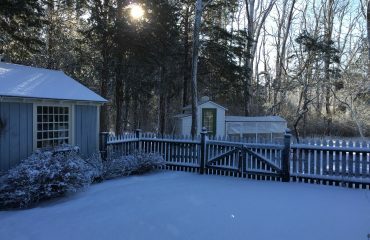 The chicken coop and run should be shaded during some portion of the day if possible. Install a shed vent to help remove the build of of ammonia from their droppings. Chickens don’t care what the chicken coop looks like as long as they have a place to roost at night, it is dry, draft-free and keeps them safe from the elements. 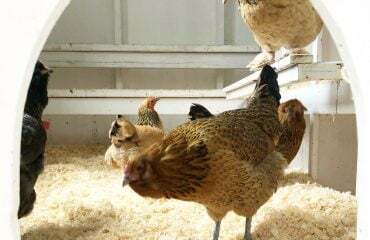 Do share your chicken coop tips in a comment below or I’d love to see your coop pics posted to my Tilly’s Nest Facebook page.